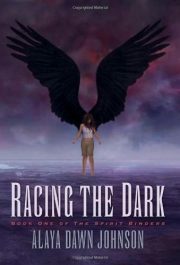 Alaya Dawn Johnson’s 2007 debut novel Racing the Dark is the first of the Spirit Binders secondary world fantasy series. The great elemental spirits leave chaos in their wake. Centuries before, the islanders dealt with them by binding the great spirits, death, fire, water and air, into forms abhorrent to the spirits but tolerable to the humans. Born on a backwater island, Lana would have been content to be just another diver among many, talented but not remarkable. Instead, her rite of passage into adulthood marked her as extraordinary. She will be no mere diver. She will be a harbinger of doom. 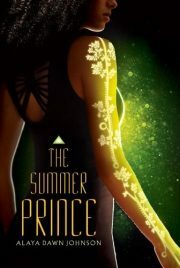 The title of Alaya Dawn Johnson’s 2013 The Summer Prince mirrors Vinge’s The Snow Queen. A tip of the hat to Vinge, whether coincidental or deliberate, is appropriate: both the Snow Queen of Tiamat and the Summer King of Palmares Tres have the same retirement package. They get to be the human sacrifice in a succession rite. Both novels concern themselves with romantic triangles, but the relationships involved are very different. The triangle in The Snow Queen is toxic; that in The Summer Prince (the triangle between June Costa, her old friend Gil, and Enki) may be complicated and stressful, but in the end all three participants love and support each other. It’s just too bad that Enki’s ambition to be the next summer king seems likely to be fulfilled … because that means that Enki’s life is going to be very, very short1. 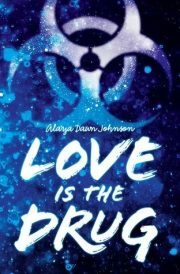 2014’s Love is the Drug is my first exposure to the works of Alaya Dawn Johnson. If her mother has anything to say about the matter, seventeen-year-old Emily Bird is destined for an Ivy League university, to be followed by a suitable career and marriage. Anything that might threaten the grand design—looking too black for white people’s comfort, insufficiently exalted grades, any hint that Emily takes after her un-ambitious uncle, any hint of an interest in the Wrong Sort of Boy—earns firm parental disapproval. Nothing is going to come in the way of the right sort of life for Emily: not the terrorist-spread flu sweeping the world, not alluring bad boys like Emily’s fellow student Coffee, and certainly not Emily’s own preferences. So far the grand plan has worked: Emily’s grades are good, she is demure and well-behaved, and her boyfriend Paul is just the sort of ambitious, well-connected boy Emily deserves. The plan holds together until the night of the party.